Get from Point A to B… effortlessly. 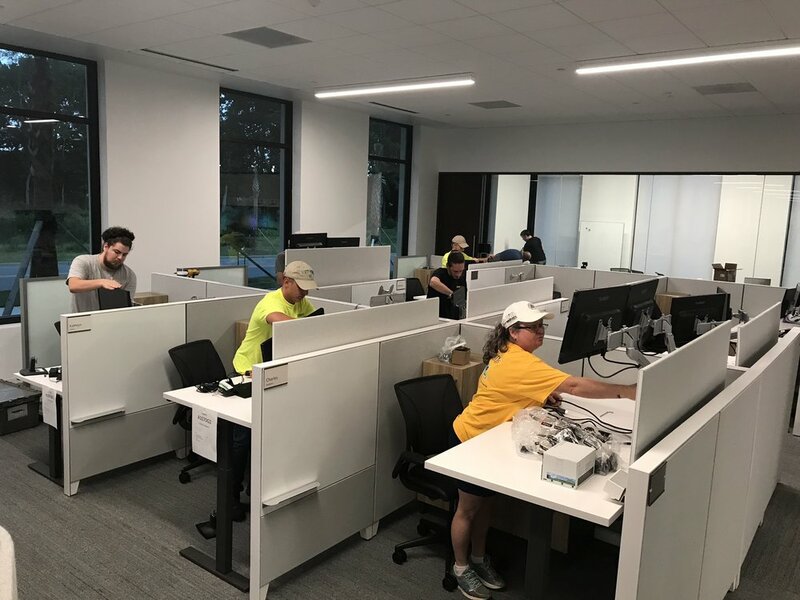 Moving into your new office space or renovating your existing space is both exciting and daunting for your associates and your IT Department. Let Connectivity give your IT Department a helping hand and put your associates at ease. Connectivity assigns a Move Manager to each account creating one point of accountability to assist you with the logistics of your relocation. Our move managers have worked extensively in various environments to anticipate your every need. Computer systems are shut down, disconnected and labeled. The CPU’s, monitors and peripherals are prepared for your contracted moving company. Computer equipment is cleaned and reconnected, ensuring all component parts are functioning properly. A test procedure that fits your environment can be performed. This could be as simple as a power up verification or it could include network connectivity testing or application testing. The Connectivity Move Manager can be on site the first day all systems go “live” to act as help desk support. This enables the IT staff to prioritize the systems that need special attention and address all concerns throughout the company infrastructure.